There’s nothing worse than feeling like your home is being invaded. Even with a good, deep cleaning and lots of bug spray, your home may never feel like “your home” again until you know the pests are gone. To get those pests out and gain some peace of mind, it’s best to call a reliable pest control company. As a premier exterminator near St Paul, MN, Eco Tech is a great solution offering both organic extermination methods as well as traditional extermination services. As a pest control company with over 15 years of experience in dealing with pests in the area, we understand the urgency and desperation people have for getting their unwanted house guests out of the home or office! While some prefer traditional extermination methods and will do just about anything to get rid of the bugs as fast as possible, some of our other clients have really enjoyed and benefited from our organic extermination methods. At Eco Tech, we care about your wants but we also keep your needs in mind! We want you, your family, your household pets and the environment as a whole to stay healthy. Traditional extermination methods can bring about harmful chemicals and pollutants that are not ideal. So we offer organic extermination methods that are not going to harm the environment or the animals in it, including our families. We steer away from synthetic poisons and aim to create healthier alternatives that are extremely effective in killing those unwanted guests. No one ever really calls a pest control company and asks for an appointment in 3 months! No! When you have a pest problem, you want it gone right away! As an exterminator near St Paul, MN, we can get to you quick! Once you give our professionals a call, we quickly find a time convenient for you to meet. Our experienced professionals inspect the area, find the problem and write up a simple plan to exterminate the issue and prevent it from reoccurring. Once we have reached an agreement, our team gets to work and gets rid of all unwanted pests. 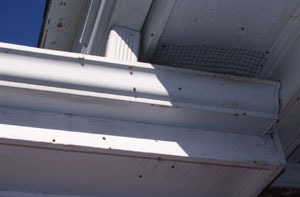 We then take that extra step to repair any home damage that may have been done while these pests were invading your home. We also take preventative measures so that these critters don’t find their way back in any time soon! If you are needing an exterminator near St. Paul, MN, call the pest control company you can always count on. Offering both traditional extermination services and organic extermination methods, Eco Tech is the right choice for any home. Contact us today at 763.785.1414.